A total of 32 Brick oceanfront homeowners refused to sign easements that would allow a protective dune to be built on slivers of beachfront property they own, township officials said. Of the 32 properties, 21 have been condemned by the state, Mayor John Ducey said, while four are actively engaged in negotiations with the township over their value. The easements, as well as the condemnations, only cover small portions of each lot where the dune is located. Many of the appraised values of the land amount to just several hundred dollars, taking into account the built-in value the dune project provides. Ducey said for the remainder of the properties, an offer letter has been sent to one homeowner who has yet to respond, and it is expected that the remaining two homeowners will voluntarily sign the easements. “An offer was made to them for whatever it was, and instead of even taking the money, they said they would voluntarily sign the easement,” said Ducey. Bids for the project, which will include 22 foot-high vegetated dunes and at least 200 feet of beach berm, have not yet been solicited by the U.S. Army Corps of Engineers, which is overseeing the project. 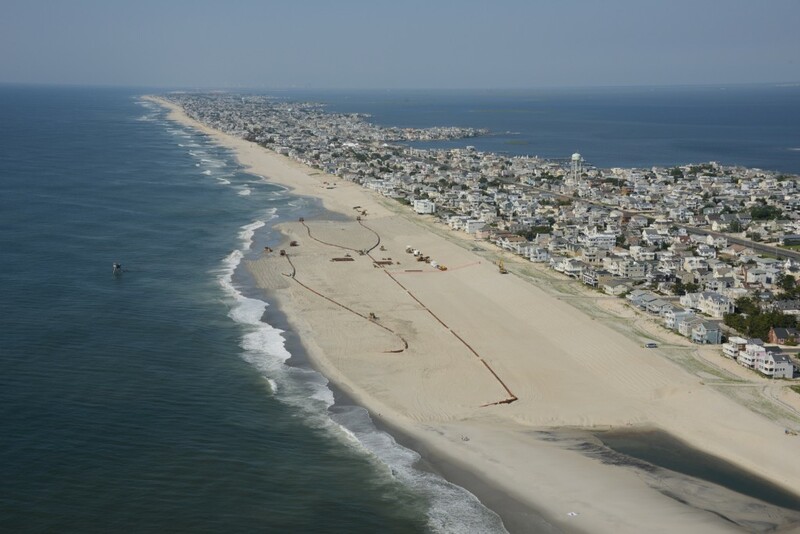 Litigation is continuing on two fronts: the condemnation of residential easements, as well as lawsuits filed by Bay Head property owners and Jenkinson’s in Point Pleasant Beach. Earlier this year, Army Corps officials decided to consider splitting the contract for the project so areas where legal disputes have been settled could be started while matters pended elsewhere.